Since 1985, Littleover Building Services have provided over 30 years of quality service across the East Midlands. Our long history of reliable trading has earned us a membership of the Federation of Master Builders. Having signed their exacting Code of Practice, you can be sure to expect nothing but the very best from us. Furthermore, with our range of warranties and insurance backed guarantees, you can trade with us with the utmost of confidence that your project will be completed in full accordance with your agreed specifications. 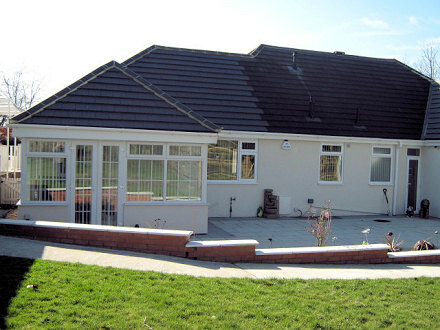 We are experts in new builds, refurbishments, disabled adaptations, roofing and roof repairs. Here you can read more about the range of services we offer and browse our portfolio. For more information, or to request a quote, contact us using the link above. We specialise in all projects from extensions and conservatories to such grand designs as new houses and apartments. Whether it's slate, tile, fibre glass or skylights, we have the expertise to fulfil all of your roofing requirements. With our dedicated roofing team, we can visit your property to give a free no obligation survey on any roof repair.